We love bicycles because they are such versatile machines. You can ride them in any conditions and you can use any type of shoes to power them. However, if you talk to any experienced cyclist, they will tell you that there is a big difference when you use special cycling shoes or the so-called clipless shoes. In this guide, we will show you, how to choose cycling shoes. Once you make a switch from regular shoes, you will experience a huge improvement in performance and pedaling efficiency. Cycling shoes work so well because they are very light and have a very stiff sole, which eliminates any energy loss through sole amortization. That is why all cyclists who are serious about cycling and upgrading their cycling goals eventually switch to bicycle shoes. Now, let’s see how cycling shoes work and why they are such a big game changer. Cycling shoes are a huge addition to any cyclist’s training because they allow for a much better transfer of energy between the leg and the pedal. Cycling shoes work in symphony with the pedals that are equipped with special cleats that the shoe hooks on. This allows the rider to have a much better stability and to control their power output much more efficiently. To explain that further, when you cycle in regular shoes, you can only exert power on the pedal on the way down – when you push. By investing in cycling shoes, you are able to exert power on the pedal on the way up as well – when you pull. This way, your muscles work in a much more balanced way and you avoid putting to much strain on just one muscle group. When deciding to switch from regular shoes to clipless shoes, it is important to pay attention for your shoes to be compatible with the type of pedals that you have and the cleats that hook onto your shoes. Depending on what type of cycling you do there are several different types of cycling shoes that you can choose from. Choosing the right type of clipless shoes that are suitable for your riding style is important to maximize your comfort and efficiency. We can split all cycling shoes into 3 categories: Mountain bike shoes (SPD), Road bike shoes (SPD-SL), and Hybrid/City bike shoes. In the world of cycling shoes, mountain bike shoes are designed to be more flexible and to provide the rider with more versatility. On the outside, they might look more like hiking shoes than cycling shoes, because they are intended to provide a little bit of both. Clipless mountain bike shoes have soles that are not as rigid as those intended for road cycling, so they can flex more and can be used for walking as well. On top of that, they have a rubber sole, so they provide more traction for walking. 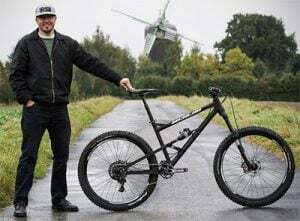 Mountain bike shoes also have cleats that are placed inside the sole, they are not sticking out, which additionally adds to their versatility and does not impede walking. Mountain bike shoes are also known as SPD shoes, which stands for Shimano Pedaling Dynamics. SPD shoes work by using a two-hole system to attach the cleats to the pedals. Therefore, it is important to match your shoes to the correct type of pedal in order for them to work. 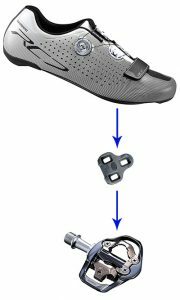 Apart from clipless mountain bike shoes, there are also mountain bike shoes that do not have recesses that fit cleats. Therefore, these bike shoes cannot be used with clipless pedals, but only with flat pedals, as some mountain bike riders still prefer flat pedals to clipless. Road bike shoes, compared to mountain bike shoes, are not so versatile. Their design only makes them suitable for cycling. Their sole is very stiff and is usually made out of plastic or carbon to provide maximum rigidity. In turn, this rigidity allows the rider to have maximum cycling efficiency and power transfer. The cleats on road bike shoes are not recessed into the sole but stick out, which makes it very difficult and uncomfortable to walk in them. They are usually much lighter in weight than mountain bike shoes. 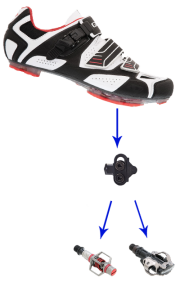 Road bike shoes can use both the two-hole cleat system and a three-hole cleat system, that is more commonly known as the SPD-SL. “SL” here stands for the Italian word “Superleggera”, which means “Super Light”. The three-hole cleat system is by far much more popular when it comes to road cycling because it provides more stability. The area of contact between the pedal and the shoe is also much wider, so the power transfer is better. Clipless road bike shoes are not compatible with non-clipless pedals. Hybrid/City bike shoes are in many regards similar to SPD mountain bike shoes. They are made to be versatile and efficient both for cycling and for walking. The soles are made out of rubber and the shoe is flexible for maximum comfort. The cleats are recessed into the sole, so you can easily use them for walking down city streets. They are a true mix of cycling shoes and casual shoes and can come in many different types and designs. These types of pedals are important to mention because they incorporate the best of both worlds. On one side, they are completely flat and can be used with regular everyday shoes, while on the other side they are clipless, so they can be used with clipless cycling shoes. Dual (or double) -sided clipless pedals are popular among people who prefer different styles of riding and use their bicycles for different purposes. They are very practical and very versatile since you can use many different types of footwear to ride with them. These are also cycling shoes you can walk in. While the most attention on cycling shoes paid to the bottom of the shoe, the top is important as well. Adjusting your shoe tightly against the top of your foot is important for more stability, and for better efficiency. The three most popular closure types are Lace, Velcro, and Ratchet system. Lace-up closure type offers the most comfort and the most adjustability. However, they come with some disadvantages. In wet and muddy weather, they easily get dirty and pick up a lot of water. Also, it is impossible to adjust them on the go. Some cyclists like tightening their shoes additionally before a sprint, so this is a disadvantage. If you choose to use lace-up cycling shoes, just make sure that the laces are short enough so they do not end up into your chain. Velcro straps are very popular because they are very easy to use and you can adjust them very quickly. Most cycling shoes usually come with two or three Velcro straps, so you can adjust the tension across your foot. Velcro straps can also be adjusted more easily on the go compared to laces. A disadvantage with Velcro straps is that they can get dirty easily, especially if you often ride in mud, so you will have to clean them more often. This is the system that most road cyclists prefer. It is very easy to adjust the tension on the go, which is done by pushing an additional tooth in our out of the system. Since your feet slightly swell during a long ride, it is important to be able to adjust the tension on the go. The disadvantages of ratcheted shoes are that they are usually a lot more expensive than the other two types and they are a bit more complicated to set up initially. 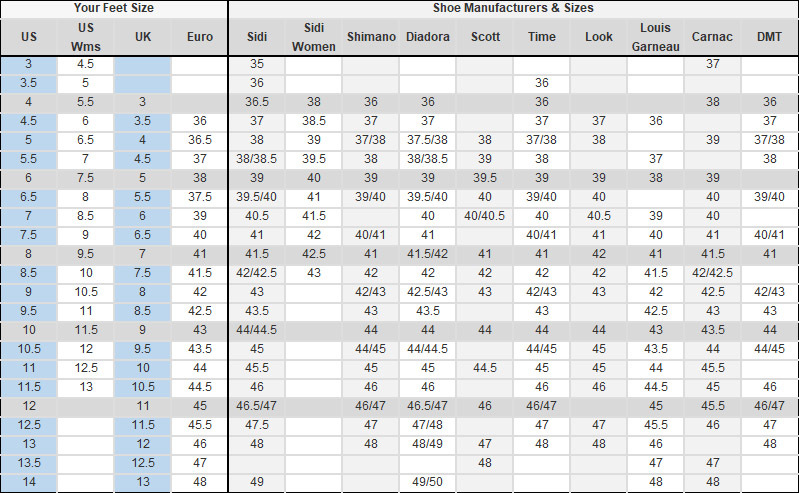 Correct cycling shoe sizing is very important for comfort, but also for performance. This is a bit more difficult to achieve since different bike shoe manufacturers use different sizing systems. So, take a look at the table below, to know exactly which size to order. If not used correctly or if the locking and unlocking motions are not perfected, clipless pedals can possibly cause some injury or cause you to fall off your bike. Therefore, the two most important steps to practice are locking and unlocking. To lock your shoe to the pedal, you need to push the tip of the cleat into the U-shaped space at the front of the pedal and then push downward with your heel until the back side of the cleat is locked and you hear a clicking sound. To unlock your shoe from the pedal, you should just rotate the ankle of your foot away from the bike until again you hear a loud clicking sound and you feel that your sole is unclipped. This motion might be easier or more difficult depending on how tight the tension in the pedal spring is set. Getting used to clip in cycling shoes will take some time in the beginning. It’s important to go through this process of getting used to them in a safe environment. It’s important to remember that stopping always means that you have to unclip. Otherwise, you might fall over and injure yourself. It is advisable to lower the spring tension on your pedals in the beginning in order to unlock more easily and then increase the tension gradually as your confidence increases as well. 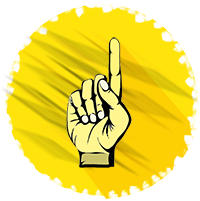 You can first practice unclipping at home, by holding onto something and go out on the road once you are sure of your skills. And remember, if you cannot clip in quickly, don’t panic. You can always ride at least a couple of strokes unclipped. Like with any other piece of cycling gear, if you want it to last for a long time and work well, you need to put some effort into maintenance. It is important to keep your bike riding shoes clean as much as possible and you should do this after every ride. Depending on how dirty they are, you can either wipe them with some wet wipes or a wet cloth. If you have been riding through a lot of mud, it is a good idea to take a toothbrush and take care of the mud and grit that might have gotten stuck in the cleats. After washing them, make sure that you dry them thoroughly as soon as possible. However, don’t put them under direct sunlight or next to high heat as they might deform. Instead, let them dry naturally or stuff them with paper which will soak up excess water. Finally, replace your cleats once they are worn out. If your foot is unclipping by itself or there is too much slack, your bike shoe cleats probably need replacing. Adjusting your clipless bike shoes the right way is incredibly important when it comes to improving your efficiency and preventing sore knees or more severe injuries. When we are talking about adjustments, there are two main things to focus on: Float and Tension. Float refers to how much your foot can pivot without unclipping when clipped in. This gives your knees and feet some slack to move when you pedal. In order to change the float, you need to change your Shimano road cleats come in three different categories: 0-degree, 2-degree, and 6-degree float. Speedplay cleats, on the other hand, are adjustable and have a range of 0-15 degrees of float. Tension refers to how much resistance you need to fight in order to unclip the bike shoe cleats from the pedals. TIP! 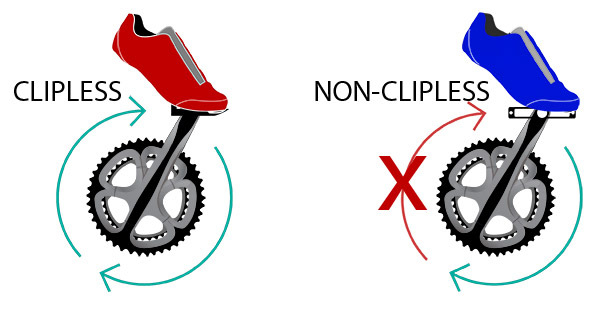 If you are new with clipless pedals and shoes, it is best to have more flow and keep your unclipping tension low. This way, you will give your knees and ankles more room to wiggle until they get used to the new set up. It will also be a lot easier for you to unclip and in that way prevent possible injuries. TIP! Remember that any movement of the foot is lost energy when cycling, so if you are comfortable with it, keep your float and tension as tight as possible for better performance. Compared to regular flat pedals, clipless pedals have many benefits. These range from efficiency and health, to comfort and ease of use. 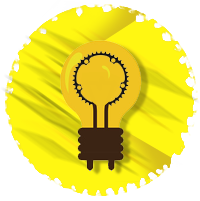 Take a look at some of the most notable ones that you should be aware of. Both clipless pedals and flats have their pros and cons. In order to weigh in which ones are better, you need to do a personal assessment of what you expect from your bike ride and what your cycling goals are. Take a look at this table of clipless pedals and flat pedals pros and make the final decision by yourself. Buying clipless pedals and shoes seems daunting when you are doing it for the first time. However, you do not need to know everything there is before you do so – even though that does help a lot. 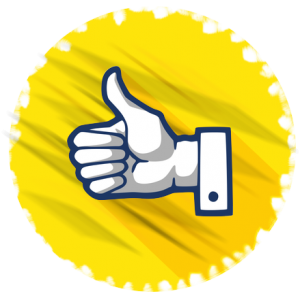 You can take a look at some buying tips that we have created for you. These will save you a lot of headaches, but also save you from breaking the bank unnecessarily. Go for a budget model. Even though those expensive cycling shoes look really tempting, ask yourself whether you really need them. All that you get compared to a low-end model is a little bit less weight and more durability. 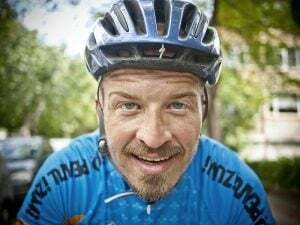 Unless you are a professional cyclist, these will matter little to your riding experience. Choose a cheaper model and use your money in a better way. Use a shortcut. If you are not interested in learning in-depth information about cycling shoes and clipless pedals, just ask someone who already knows about it. Find out what type of clipless pedals and shoes they are using and get the same. If you are riding in the same conditions, they are going to work for you as well. Find out what you need. Consider the style of ride that you do the most before you buy your clipless pedals. Also, are you going to use them for walking or just for cycling? That is important when you are buying your shoes. The more you know what your needs are, the better choice you’ll be able to make. Buy in pairs. Buy shoes and pedals that come from the same manufacturer and that are sold in a set. This way, you will ensure that your shoes and pedals are compatible. Make sure they fit. You might need to try several models before you find some shoes that fit well. Your shoes should have a little bit of room to move your toes since your foot swells on longer rides. If you wish to get the most out of your clipless cycling shoes in all types of weather, you should consider investing in some accessories as well. The most important ones to know about are dryer, covers, and toe covers. Dryer – A shoe dryer uses very gentle warm air to dry your shoes. It can dry your shoes completely in several hours without any risk of damage from high heat. Covers – Shoe covers look similar to socks, but they are made of neoprene or rubberized laminate. They can be used in warm wet weather, but they can also be used in winter. Depending on the material used, they can provide just protection from water, or also provide insulation in very cold weather. Toe Covers – Toe covers are not so bulky and are a good alternative to regular covers. They will not provide as much protection to your feet, but they will still keep them dry and warm. Now you already know how to choose bike shoes, then it’s time to choose one proper pair. Choose the most comfortable bike shoes. Choosing the best cycling shoes for yourself depends on many different factors. Things that play a role when making a choice are your riding preference (mountain or road), color preferences, and price range. However, you cannot go wrong by choosing one of these trustful merchants and you are guaranteed to find suitable cycling shoes for yourself. 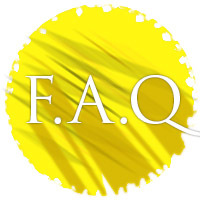 In case you need fast answers to some common questions regarding cycling shoes and pedals, take a look at the Q&A section below. Q: What type of cycling shoes should I use for spinning? A: It’s best to use SPD cycling shoes that have recessed cleats as it will be much easier to walk in them around the gym. Q: My foot position is not comfortable, what should I do? A: Try to make adjustments and allow more float in your pedals. Also, make sure that your cleats are centered under your midsole. Additionally, take your bike and shoes to a local specialized shop for an expert fit. Q: Can I use road bike shoes and cleats on mountain bikes? A: Yes, you can. You just have to make sure that the hooking mechanism is the same and that they fit together. A: Check whether the tension of the spring in your pedals is too tight. Unscrew it to allow your foot to unclip more easily. Q: How to align cycling cleats? A: Use a ruler to make sure that the cleat is aligned with the axis of the shoe and that it is positioned just under the middle of your midfoot. Q: What tools are needed to attach or adjust cycling shoes? A: All you need is a small hex key to adjust tension and float. 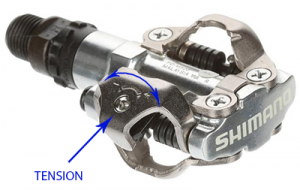 Q: How to remove cycling cleats when the nut is rounded?